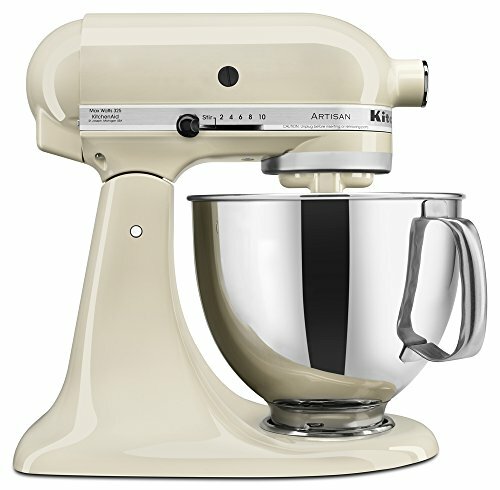 You are here: Home / Blenders / These 20 Things Belong in Your Kitchen: Get them Now! 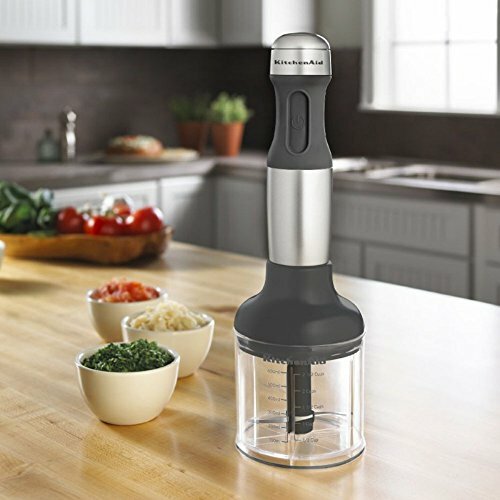 The Kitchen Gadgets You Need Today! These 2o things belong in every single kitchen today. They’re going to make your life easier by saving you time. They’re going to make your life awesome by giving you a whole ton of deliciousness. Don’t want to miss out? Keep on reading to find out the 20 things that belong in your kitchen today. Have you ever had homemade, fresh pasta? We sure hope you have because it’s quite possibly one of the most delicious things you could ever hope to put into your mouth. Pair it with some homemade tomato sauce, or some homemade cream sauce and you’ll be well on your to the culinary hall of fame in your family and friend’s eyes. Although it does take a bit of time to make the dough, chill it, and then roll it out, it’s TOTALLY worth it. Trust us. You will never, ever regret spending the bit of time it takes to make a batch of awesome for you and your family. It’ll change the way you eat pasta, forever. 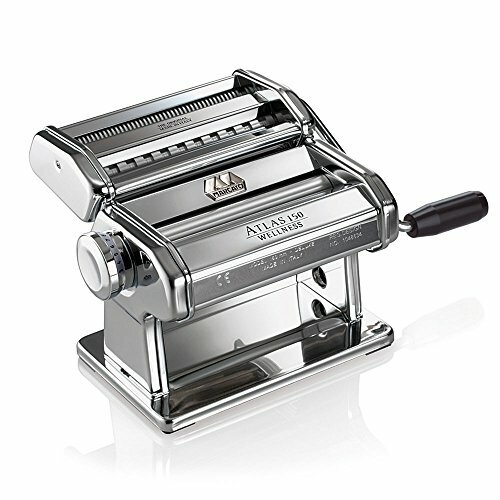 You have two basic options for pasta machines, something like the Marcato Atlas where you do much of the work yourself. The thing this machine does do is help you roll out the dough thinly and evenly. It’s super durable and you’ll likely be passing this one onto your children and grandchildren. If you don’t live in another universe, you’ve probably noticed that yogurt at the grocery store is ridiculously expensive, perhaps even a total rip-off? Despite loving yogurt, I didn’t eat it as much as I wanted for years due to this very fact. For homemade yogurt, you have two basic choices- the bulk yogurt makers, or the individual cups. It’s up to you, but here are our recommendations for each category. 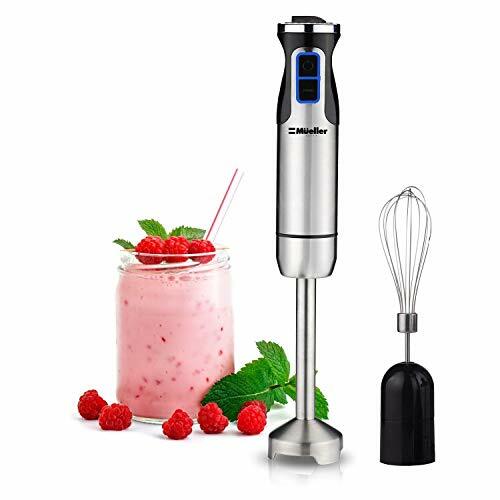 For bulk yogurt makers, our favourite is the Cuisinart Bulk Electronic Yogurt Maker. It’s a top-quality machine that’s totally hassle free-just add your ingredients and press a button. No messing around with monitoring temps here! If you like coffee as much as we do here at Kitchen Gadget Reviews, you’d be crazy not to get yourself an espresso machine. Compared to the taste of coffee from something like a drip-coffee machine, well…you could hardly call that coffee anymore! It really is that much better of a cup of coffee when you use an espresso machine. The good news is that there are a ton of choices, suitable to just about any budget. You truly don’t need to spend a thousand bucks or more (but you could) to get yourself a decent machine. We’ll give you the low-down on our two top picks for espresso maker-one cheap one, and one expensive one. The cheap-ish espresso machine that does the job is the Nespresso Pixie. Priced at around $100, it makes you a decent cup of coffee, minus all the frills of the way more expensive machines. You’ve probably had those cheap blenders before, and by “cheap,” you probably already know what we’re talking about. You know, the ones that have a hard time crushing ice without blending the blades, that leave full on chunks in your smoothies and that seem to break every six months or so with alarming regularity. Forget that. You’ll need to upgrade your life and get a Vitamix. It’ll be the first and last blender that you ever buy for the rest of your life. We use the Vitamix for just about everything at my house. Smoothies, hummus, soups, sorbet, nut butters, refried beans, etc. Your imagination is the limit more than this machine ever will be. This will be the favourite thing you purchase this year by far. Seriously. We’ve never, ever heard someone say that they regret buying themselves a Vitamix. A slow cooker is going to save you a ton of time. You put the ingredients in it, turn it on and then go on with your day. Then, come home to a delicious meal waiting for you to eat it. Seriously. Slow cookers are kind of life-savers on those busy days when you really just don’t have time to cook. And they make some seriously delicious food. Slow cookers range from ridiculously simple to a ton of features. In our experience, a basic one is all you need. An on/off switch and perhaps a low/high temperature setting. A nice choice is this Proctor-Silex 4-Quart Slow Cooker. It’ll last you basically forever, and the size is great for a small family of 3-5. We use ours every single week at our house! We’re sure you like a good sandwich. Basically everyone does! 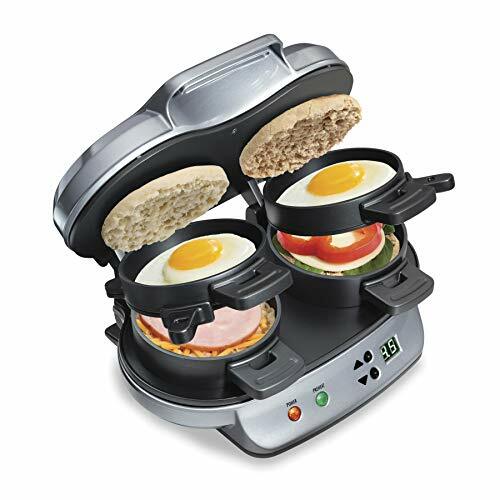 Now we’re also sure that you want to kick your sandwich making into high gear, right? Level up to the next level? If you answered yes to those questions, we’re going to tell you how to do that right now. You just have to get yourself a panini press. Cheesy, crispy, gooey deliciousness. Here’s a basic panini recipe to get your mouth watering a little bit. In the world of panini presses, not all are created equal. There are some definite winners, and also some definite losers. 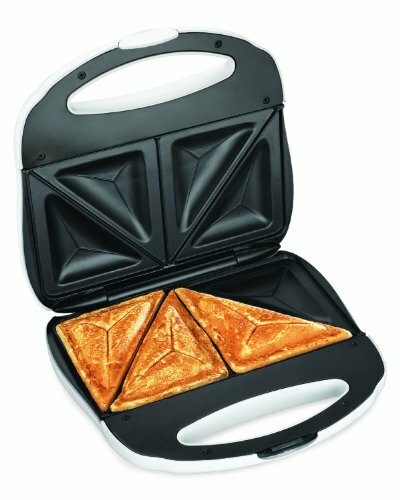 The winners grill your sandwich evenly, to perfection. The losers grill unevenly, break very quickly and end up burning your potentially delicious sandwich. So maybe you can cook, but you want to maximize deliciousness, while minimizing calories? We hear you. Just about everyone is in the same boat these days! What’s going to get you there is using spices, and lots of them. Check out this post, Top 10 Spices that Belong in Every Kitchen for our recommendations of which spices to keep in your kitchen at all times. Get them, put them in your kitchen, and use them! Whenever we go to other people’s houses, we are always in disbelief at the pieces of junk people are cutting things on! Plates, thin plastic flimsy things, old and dirty cracked wood things. It genuinely makes us feel unhappy and we then immediately know what that person’s Christmas present is going to be. Everyone NEEDS a decent piece of wood to cut things on! It makes the whole cooking experience so much better. Trust us. Use a nice butcher block once and you’ll never go back to using cheap pieces of garbage that more aptly belong in the garbage. If you’re not making your own nut butters, you’re missing out big time. You’re missing out on ingesting a ton of chemicals and bad fats with the crap that you can buy at the store. My friend is a cardiologist and she told me that when she does heart surgery, she can tell who eats a ton of peanut butter. Seriously. Think about that for a minute. Since that day, I’ve been making my own nut butters and been feeling really, really good about it. The other thing you’re missing out on by not making your own nut butters is a whole ton of deliciousness. Try it and you’ll be convinced in about 3 seconds and always plan of having these in your kitchen, well forever. If you’re a coffee drinker, we’re not sure why you would ever drink pre-ground coffee. Coffee loses a ton of flavour the longer you don’t drink it after it’s roasted. Pre-grinding it just makes the flavour loss happen significantly faster. The best thing to do is buy freshly roasted beans from your local roasting house. Grind small batches and then drink within a day or two! You will most definitely notice a huge difference in the quality of your coffee. 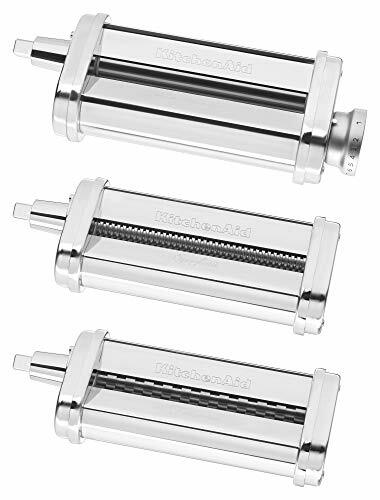 Although you can get cheap coffee grinders for what seems like a couple of bucks at Wal-Mart, these aren’t as good as buy as you might think. They tend to break after what seems like only a couple of times. Overfilling them causes them to break. Overusing them causes them to break. Using them more than five times causes them to break. If you have a few basics in your kitchen at all times, you’ll be able to make a big variety of meals easily and quickly. Don’t have these basics? Well, you’ll be struggling each and every single time you decide to cook you or your family up a meal. Do yourself a favour and keep these 10 food staples in your kitchen at all times. You’ll NEVER go hungry again! Imagine this. You’ve invited a ton of neighbours, friends and family over for a summer BBQ. All of a sudden, you whip out an ice cream maker and make up the most delicious ice cream anyone has ever eaten, with the help of these people of course! Ummmm….we have no idea why you wouldn’t want to be this person. Get yourself one of these sweet, old-school hand-crank ice cream makers today. p.s. 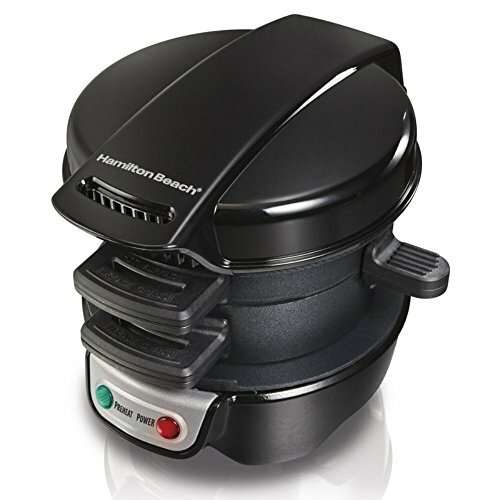 If you’re too lazy to crank, and just want some delicious homemade ice cream, the easy, electricity filled way, here is our top pick: Breville Smart Scoop Ice Cream Maker. We know that you maybe grew up cooking rice on a stove. We did too. Except cooking rice on a stove in a small pan blows the big one. It gets burnt on the bottom. It’s undercooked. You added too much water. You added too little water. It’s disgusting and inedible. We’ve all been there. I’m here to tell you something that people in Asia figured out years ago-there is a better way. A far, far superior way to cook rice in fact. In a rice cooker. Call us crazy, but we think that everyone, even people who only eat rice once or twice a month should have one of these babies. They really, really do a far better job at cooking rice than whatever you’ve previously been doing. Top 10 Slow Cooker Recipes. Top 10 Healthy Crockpot Recipes. I’m sure you know what I’m talking about. 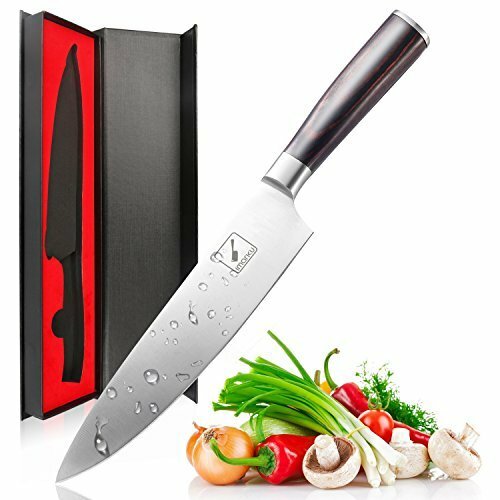 You’re trying to slice a tomato or pepper, but you can’t even break through the skin because your “knife” is such a piece of trash. 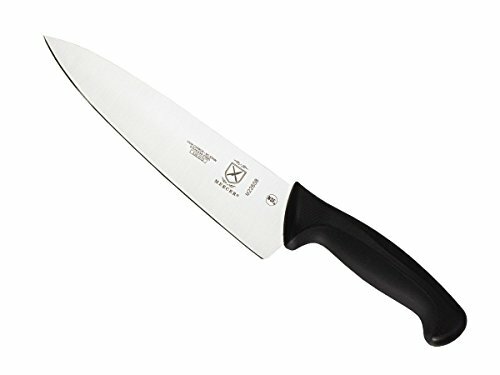 I use knife in quotations because it’s such a poor replica, that it can hardly be considered as such. Cooking with a proper knife is like trying to change a tire without a jack. Or, trying to pump up your bike tire without a pump. It really is that important. Forget the knife sets, you don’t need all those knives. 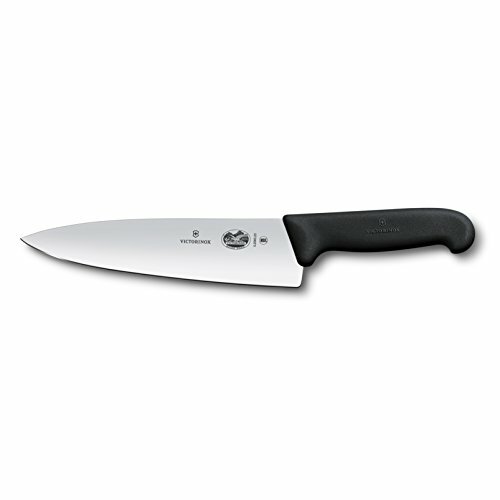 No, what you really, really need in your kitchen is one top-quality chef’s knife. 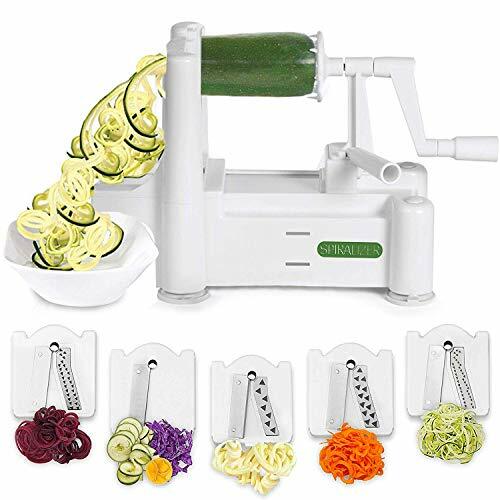 You’ll find yourself using it for everything, all the time, chopping those fruit and veg like a machine. It really does pay off big time to pay some good money for one because you’ll be buying it for life. Okay, so this is one thing that we didn’t use to think was necessary. However, one of our partners has a garlic press at her house, and the more we cook over there, the more convinced we are that it a necessity for any kitchen. I know, I know. Garlic presses are for lazy cooks! I used to agree with you. No more. I love this thing because it’s awesome. Get yourself one today. I know. I agree with you. Cast iron skillets are a hassle to clean. FYI, see How to Clean a Cast Iron Skillet the Right Way. But just because they take a bit more work to clean, doesn’t mean that you shouldn’t use one. Once cleaned, and seasoned (oiled) correctly, they work amazingly. You’ve maybe used one before, but didn’t like how stuff sticked to them. Food sticks because they’re not oiled after every use! This is the key to cast iron happiness, and once you get on the program, you’ll never go back. Cast iron heats, and cooks very evenly and will never warp. This is truly a frying pan that will last you a lifetime, and probably your children and grandchildren’s lifetimes as well. We’re sure you’re tired of rooting around your kitchen cupboards to find the paprika, or celery salt, or oregano. We were too. That’s why we FINALLY get ourselves a spice rack. It was at that point in time that we wondered if we were perhaps crazy for not getting one years and years earlier. A spice rack makes your life so, so, so much easier and will save you a ton of time, especially if you’re kind of disorganized. A pro-tip about spice racks. Even though it might be hard, keep everything in alphabetical order. It only takes an extra second when putting spices away, but it’s so nice when cooking the next time! This is especially true if there are multiple people who cook at your house! We know that you probably love the smell of home-baked bread and would have it just about every single day if you weren’t so lazy. Although it is better to make bread from scratch, who really has time for that? Very few people who aren’t named Martha Stewart, that’s for sure. You can however have the next best thing-homemade bread from a bread maker. If you haven’t used a bread machine before, you might not be aware of how ridiculously easy it. You just put the ingredients in, in the correct order, and press a button or two. Then you wait a few hours and out pops you’re most delicious homemade bread. The only challenging thing about this will be not eating the whole loaf in a single sitting. Save some for your family, you know? They’ll smell it and be angry at you if you don’t. Rounding out our list of the Top 20 things that belong in every kitchen is a pizza stone. The reason that pizza from the shop is so delicious is because they use extremely high heat in their ovens, as well as a pizza stone. Pizza stones are great because they distribute the heat evenly, ensuring a crispy, well-cooked but not burnt crust. Plus there are a ton of other uses for these things too. Once you have one in your kitchen, we’re sure your creativity will take over! BBQing, roast chicken, veggies, etc. Since we love cast-iron so much, this one is our top choice: Lodge Pro-Logic Cast Iron Pizza Pan. It has a ridiculously good user reviews, and we’re sure that you’ll love it just as much as the other loyal customers. The best thing about it? Handles. Yes, just put on oven mitts and carry your pizza easily and securely straight to the dinner table.